Studio apartments can be the perfect housing solution for some, but they all lack one thing: storage space. With Avalon storage from EJ Shaw Storage, you can move into your studio apartment without having to worry about not having enough storage options. With a Avalon storage unit, you don’t need to worry about throwing away anything. We all collect a lot of possessions across our lifetimes. The smaller living spaces in studio apartments means you probably can’t move in everything you own. Instead, move any excess belongings (things you don’t want to throw away but don’t have room for in your studio apartment) into Avalon storage. Having access to a Avalon storage unit means you can easily swap your furniture and home decor as frequently as you like. Whenever you’re sick of your apartment’s look and feel, you can completely change the design without spending any extra money. Your Avalon storage is also the perfect place to store seasonal items, like your holiday decorations. To keep all your belongings in Avalon storage in good condition, follow these tips. Install a temporary rack in your storage unit so you can hang cords to prevent tangles. Larger items should be stored towards the back of the unit, with smaller items in the front. Make sure you label each and every box with as much detail as possible. This will take you longer initially, but it will save you a lot of time in the long run. You should cover any furniture in your unit to prevent it from collecting dust. 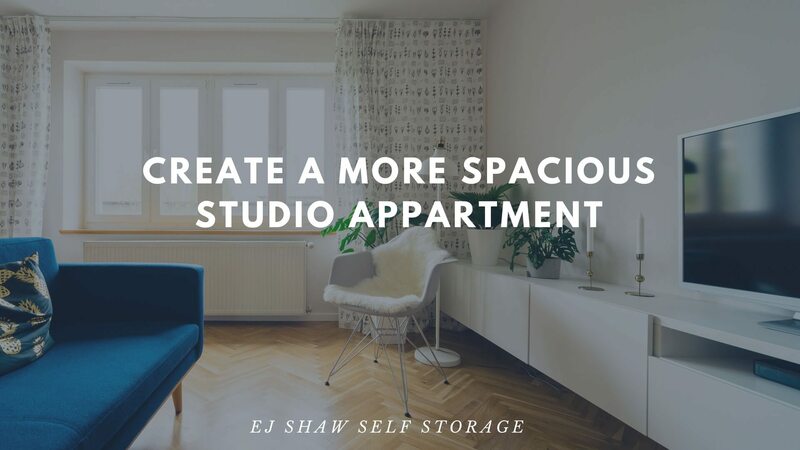 If you’re moving into a studio apartment soon, contact the team at EJ Shaw Storage to learn more about your storage options.